The academic programs of Kaplan University combines flexibility and convenience of online education having high quality standards. The university offers you the opportunity to reach your goals without compromising your work or family responsibilities. Once you have contacted the university, you will be matched with an Admission Advisor that will guide you through the admission process. Some of the documents are not necessarily given during the time of admission but must be completed as soon as possible to be successfully considered for the program. To be able to apply for Kaplan University’s graduate programs, the applicant must submit an unofficial transcript which indicates receipt of a bachelor’s degree from a university or college which is accredited by regional or national accrediting agency. It must also be recognized by the U.S. Department of Education. Additional documents might be asked to be able to qualify for transfer of credit. More details of transfer of credit can be discussed with the Admission Advisor. 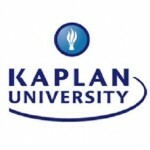 Kaplan University admission is very simple and as long as you have all the documents they need and you meet all their standards, you will be able to qualify for the program.